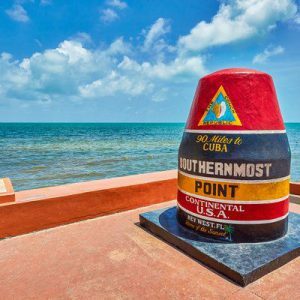 The Fall is actually a great time to be in Key West, there’s less traffic and the island is much quieter, allowing you to enjoy all of your Key West favorites without having to deal with the crowds. The Fall is also when you’ll find the best rate values of the year, your favorite vacation homes can be booked for nearly 20% less than the cost of on-season rates! Get ready for Fantasy Fest! 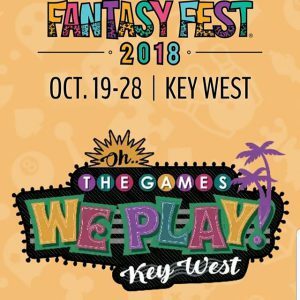 An experience you have to see to believe, this weeklong event features the Bahama Village Goombay Festival, the Zombie Bike Ride, WomanKind’s BraZaar Presented by Last Key Realty, the Pet Masquerade, the 36th Annual Headdress Ball, the famous Fantasy Fest Parade, and much, much more! Get your most extraordinary costume ready and come join us for a week of Halloween shenanigans! For complete details, check out the official Fantasy Fest website. We still have nightly & weekly rental homes available for the week of Fantasy Fest, including: Villa Cubana, Saltwater Harmony, Gulfside Vistas, Brisa Fresca, and Avalynn House. Be the first to experience the newest additions to the Last Key rental program this Fall! Our newest homes are fully furnished, fully stocked, and fully equipped with everything you’ll need to enjoy a relaxing vacation in Paradise! 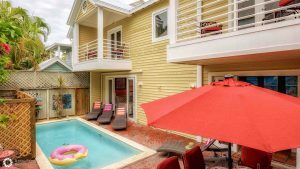 “Southernmost Soul” is a tastefully decorated 2-story townhome in Truman Annex that offers all of the comforts of home – a private pool, off-street parking, and spacious indoor and outdoor living spaces. 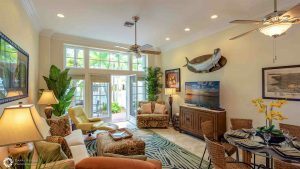 “Good Vibrations” is a 4 bedroom, 4.5 bathroom private home with a location that simply cannot be beat, on a quiet lane just half a block from the world-famous Duval Street. 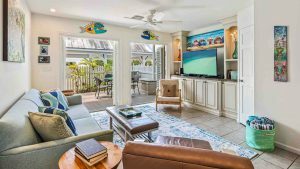 This home paired with Last Key Realty’s unrivaled Guest Services will have you feeling those “Good Vibrations” for your entire stay in Paradise! “Southernmost Palms” is a beautifully renovated 3-story townhome with 2 bedrooms and 2.5 bathrooms, located at The Foundry in Truman Annex. 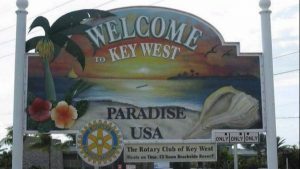 You’ll be just steps from Mallory Square, Duval Street and all of the attractions Old Town, Key West has to offer. “2 Cool Fish” is a quaint 2 bedroom, 1.5 bathroom townhome located in Truman Annex. 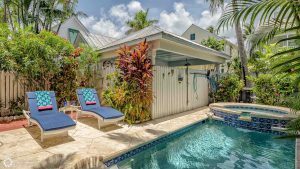 This home is tucked away down a quiet pedestrian lane where you’ll have the peace and quiet that comes with a gated community, yet you’ll only be steps away from all of the action of Old Town, Key West. Six weeks have passed since Hurricane Irma showed her ugly face in the Florida Keys, primarily impacting the middle and lower Keys about 20 miles North of Key West. Magically (see more on the mystical Grotto here), Key West was spared from much of the devastation and is now back to normal… which if you know Key West, is not normal at all. 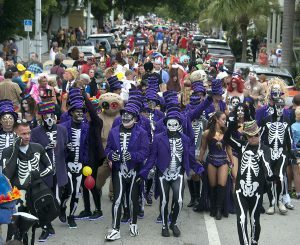 Last week many Key West lovers flocked down to take part in the annual Halloween celebrations known as Fantasy Fest. It was such a fine sight to see so many people enjoying our glorious island again! If you weren’t able to make it to Fantasy Fest, don’t worry: There are a great number of fun events on the calendar for the rest of the year, including next week’s 37th Annual Super Boat Races, where guests can witness exciting power boat races right from the Truman Annex waterfont. Now that Irma is in our rear-view, we need your help in bringing the activity back to our island! 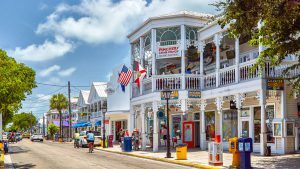 Despite the media’s portrayal of Irma’s impact, Key West was mostly spared – but what is now hitting us the hardest is the misconception that we are not yet open for tourism. The island opened back up for tourism on October 1 and is back in full swing at this point. If you love Key West, it’s time you escaped all of your worries and took a relaxing vacation to our beautiful island. The weather is literally perfect, the beaches are glistening and you couldn’t pick a better time of year! Support your favorite vacation destination AND do your quality of life a favor by making a plan to spend a few nights, a week, or a month in the Conch Republic! To make the deal even sweeter, we are offering some AMAZING specials that you will not want to pass up like our Procrastinator’s Discount, Snowbird Special, and Kick Start Key West. See our specials page for details. Discounts included in online quoting. Should you have additional questions about the impact of Hurricane Irma, the state of the island or our properties, please do not hesitate to call us directly at 305-292-6266.